Ideal colour coverage. Incredible clarity. See your work in beautiful Ultra HD 4K resolution on our largest Dell UltraSharp monitor with PremierColour for exceptional colour accuracy and professional standards. Accurate, consistent colour: With PremierColour, your monitor provides superb colour precision with four colour spaces, including 99.5% Adobe RGB, 100% sRGB, 100% REC709 and 87% DCI-P3 coverage – ideal to suit every colour professional’s needs. Phenomenal viewing experience: Enjoy every little detail with 3840 x 2160 Ultra HD 4K resolution. That’s four times the resolution of Full HD. Unmatched reliability: Get complete peace of mind with Dell’s Premium Panel Guarantee and Advanced Exchange Service. Ideal coverage for every colour professional. The UP3216Q features PremierColour for precise, accurate colours right out of the box, and the ultimate colour coverage and precision experience. UP3216Q with PremierColour now offers a wider colour coverage with 100% REC 709 and 87% DCI-P3 in addition to 99.5% Adobe RGB and 100% sRGB, which were available previously in the predecessor. The two new colour spaces are ideal for colour-critical projects that rely on industry standards, and are typically used by content production professionals. This 31.5-inch monitor comes factory-colour calibrated with a deltaE of less than 2, so you can count on precise, consistent colours right out of the box. Reveal a high level of detail, even in dark areas, with a colour depth of 1.07 billion colours. Fine-tune your colours using the Custom Colour mode, or make further adjustments with the user-accessible hardware look-up table (LUT). 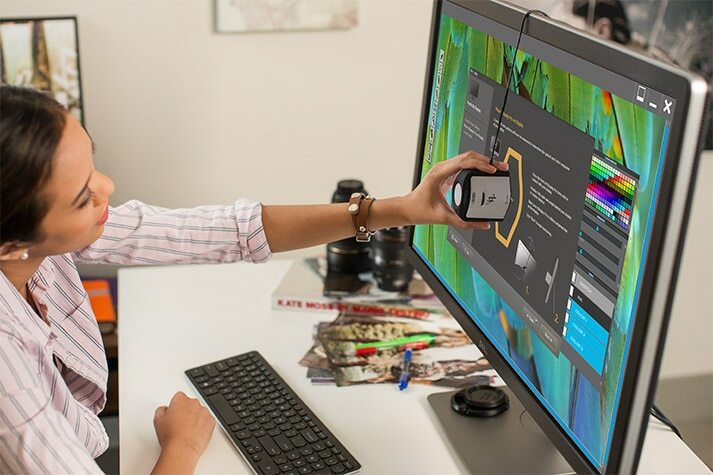 Calibrate the monitor in-house using Dell UltraSharp Colour Calibration Solution software with the optional X-Rite i1Display Pro colourimeter (sold separately). Magnificent clarity for exceptional detail. 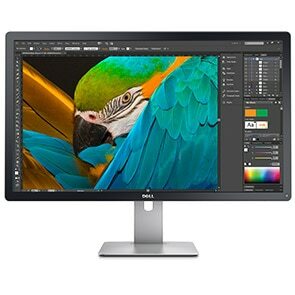 Whether it’s graphic design, video editing, animation or professional photography, the Dell UltraSharp 32 Ultra HD 4K Monitor with PremierColour - UP3216Q encourages you to hone in on the finest details to give your work the attention it deserves. See more in Ultra HD 3840 x 2160 for four times the resolution of Full HD. With extremely high pixel density, the tiniest details in videos and images are revealed for uncompromising picture quality. Do more with a 31.5" screen, giving you more room for your most important projects. Get a clear and consistent view of undistorted colours across an ultra-wide 178°/178° viewing angle. Keep your virtual workspace tidy with the Dell Display Manager’s Easy Arrange feature that lets you neatly display windows side by side. Quickly adjust your monitor to comfortably fit the way you work. 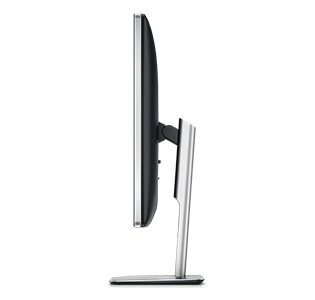 Tilt, swivel and adjust the height of your monitor to maximize viewing comfort. Get extensive connectivity with a larger bandwidth. HDMI 2.0 allows 4K content to be transferred at 60Hz for uncompromising picture quality. The UP3216Q also features DisplayPort, mini DisplayPort, 6-in-1 media card reader and HDMI 2.0/MHL 2.0 with HDCP 2.2 for uncompromising picture quality with digital connectivity and copy protection. The Dell UltraSharp 32 Ultra HD 4K Monitor with PremierColour | UP3216Q meets the latest regulatory and environmental standards. Made with premium-quality materials, this monitor is BFR/PVC-free (excluding external cables) and has arsenic-free glass, a mercury-free LED panel, and a chassis made of more than 25 percent post-consumer recycled plastics. Peace of mind – guaranteed. Enjoy peace of mind with our Premium Panel Guarantee and minimize downtime with Advanced Exchange Service. The Dell Premium Panel Guarantee allows a free panel replacement during the Limited Hardware Warranty period even if only one bright pixel is found. Your Dell monitor comes with a 3-year Advanced Exchange service* which is included as part of our standard 3-Year Limited Hardware Warranty*. You can also upgrade to ProSupport for 24x7 tech support for help with set up, troubleshooting and more, plus Advanced Exchange with next business day monitor replacement*. 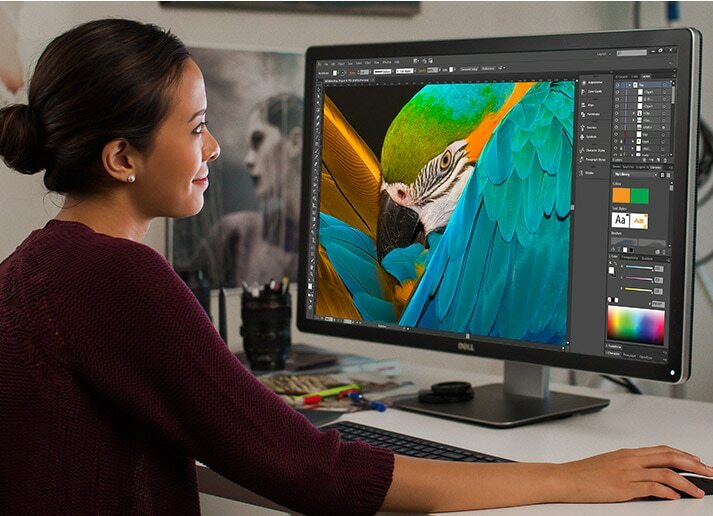 Customize colours with the user LUT (look-up table), accessible via the Dell UltraSharp Colour Calibration Solution software, for precise colours that align perfectly on the Dell UltraSharp 32 Monitor. Get stereo surround sound with the new Dell soundbar. Snap it snugly onto the bottom of the monitor to enjoy high quality audio. Secure your monitor with the Dell Premium Lock. The patented T-bar keyed locking mechanism and carbon-tempered steel cable can be attached to the standard security lock slot on the monitor for protection.